Schneider Trophy contest programme, back cover, 1931. 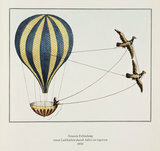 'Newest invention - an air balloon being piloted by Adler', 1801. 'A Balloon Prospect from above the Clouds', 1785. 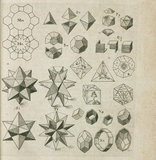 Chart of cosmic elements, 1657. The first balloon crosing of the English Channel, 7 January 1785.